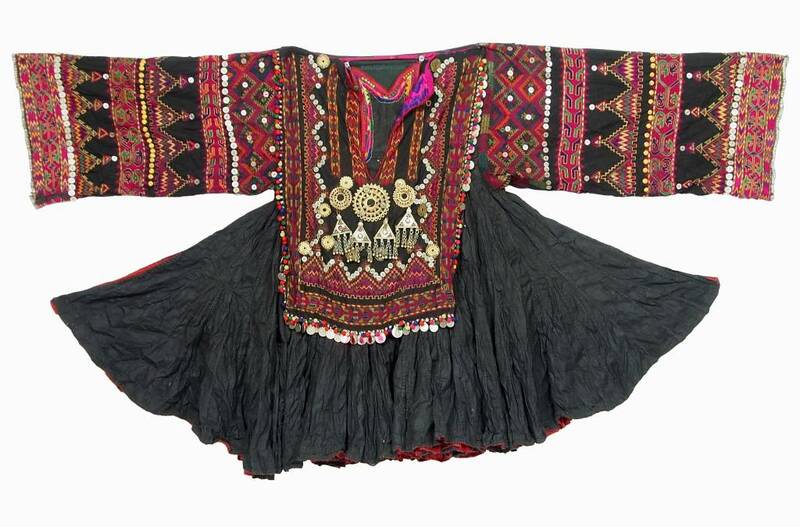 antike Nomaden Kleid aus Nuristan Afghanistan. 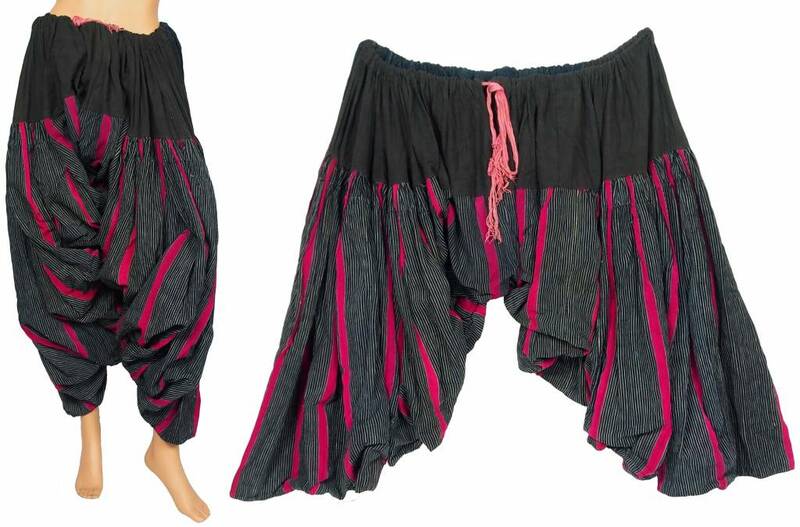 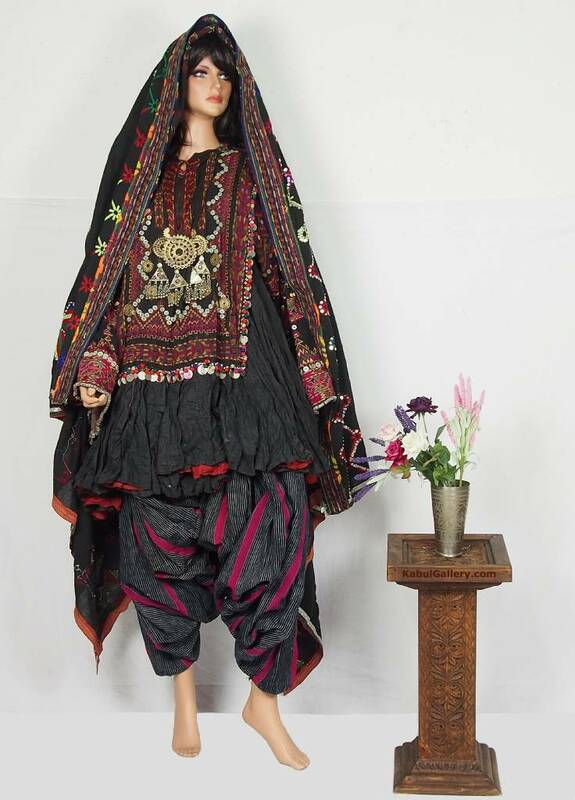 Komplettes, antikes und originales Frauenkleid mit Kopftuch und Hose aus Nuristan. 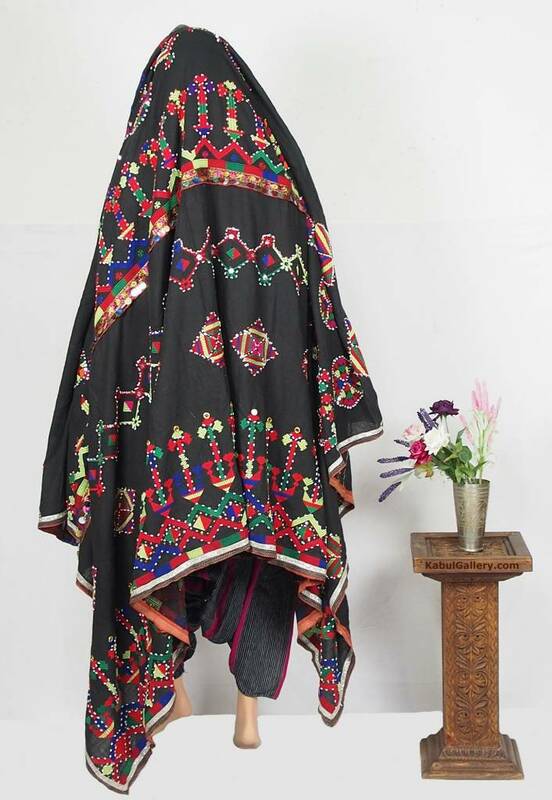 Seidenstickerei auf Baumwolle, teilweise mit Glasperlenbesatz. 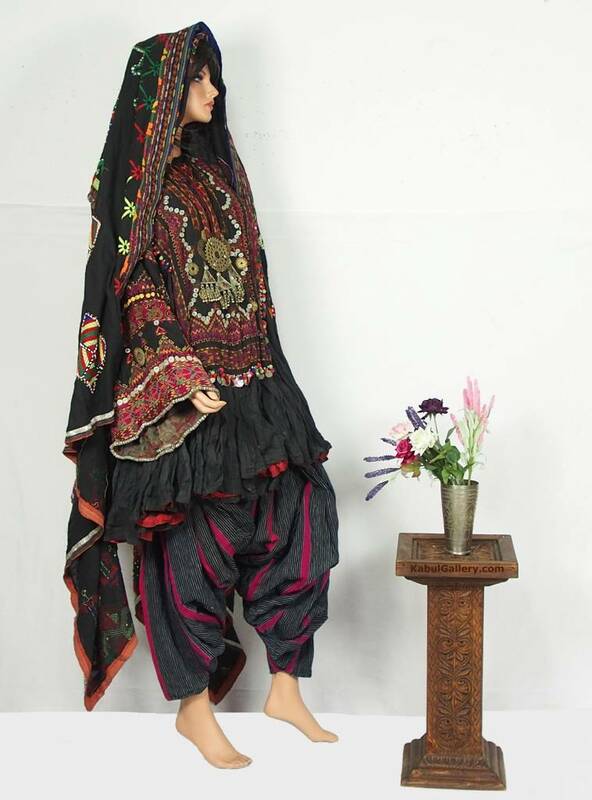 antique complet original rare Afghan dress with headscarf and trousers . 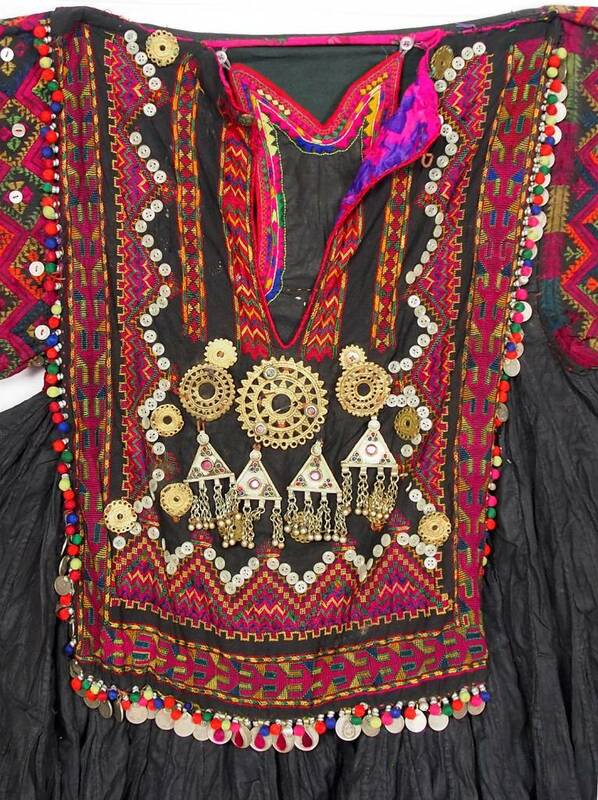 Old Pakistani /Afghanistan border Kohistan /nuristan Tribal Woman's Dress. 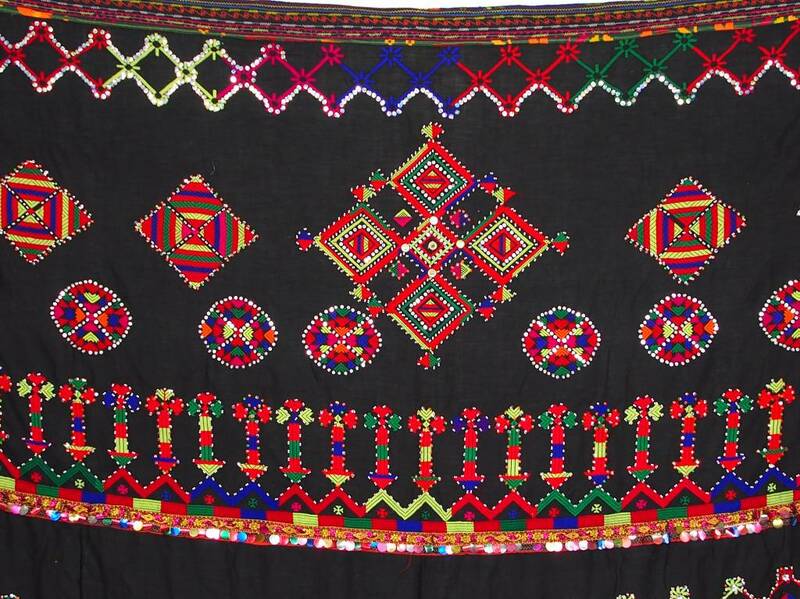 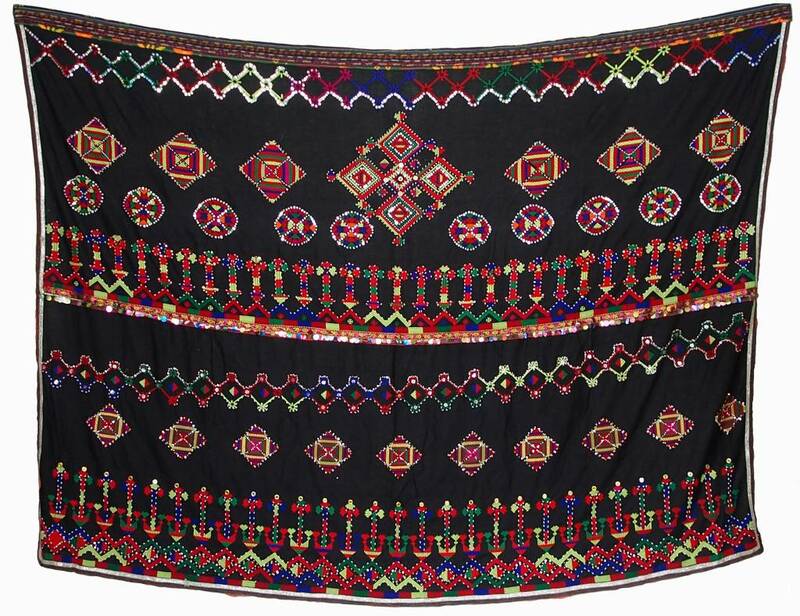 The jumlo was one of the most lavishly embroidered and embellished garments in South Asia, and worn by Muslim women in remote Indus Kohistan. 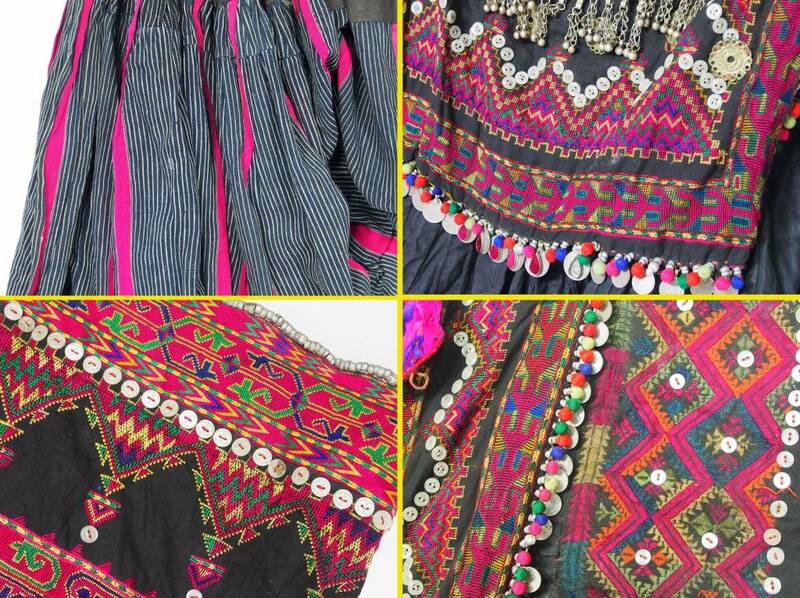 The dress’s skirt was formed of triangular gussets – some examples have as many as 600. 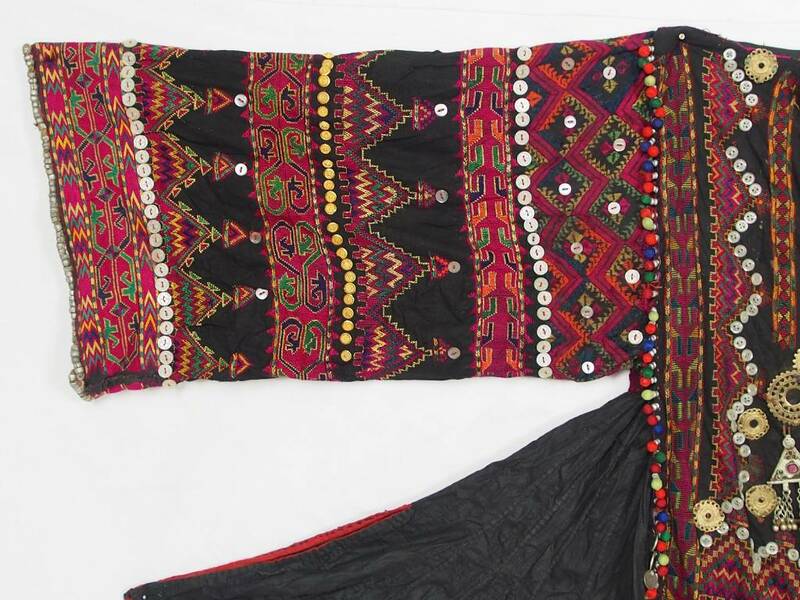 The jumlo, worn with full trousers and an embroidered shawl, was often embellished with coins, buttons, even key chains and old zippers.